​Ruth of Fallen Leaf & Bow Valley Food Bank. Bow Valley Food Bank on January 4, 2019. The search for fine abstract ends here. Barry erases boundaries and reimagines landscapes. through texture, colour and insight. 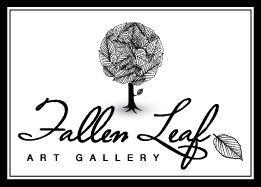 only at Fallen Leaf Art Gallery. ​for us in his signature style. Check out our YouTube Channel for unboxings, virtual gallery tours and more!